The owner of a trucking business was sentenced in federal court to 33 months in prison for wire fraud and willfully failing to file a tax return, announced Principal Deputy Assistant Attorney General Richard E. Zuckerman of the Justice Department’s Tax Division, and Matthew J. Schneider, U.S. Attorney for the Eastern District. According to court documents, Arshawn Kenard Hall, operated a truck hauling business called RAMA Enterprise Inc. (RAMA). An automobile company hired Hall to transport plastic crates filled with automobile parts. After transporting the parts, Hall was required to return the empty crates to a facility in Detroit. Instead, Hall took the plastic crates and sold them to a plastic recycling company for approximately $460,000. The value of the stolen plastic crates to their owner was approximately $2,921,000. Hall also willfully failed to file a 2012 federal income tax return on behalf of RAMA and failed to pay the taxes due. The tax loss associated with Hall’s conduct is $142,069. In addition to the term of imprisonment, U.S. Court Judge Terrence G. Berg ordered Hall to serve three years of supervised release, to pay restitution of $2,919,265 to the automobile company and $142,069 to the Internal Revenue Service (IRS). Principal Deputy Assistant Attorney General Zuckerman and U.S. Attorney Schneider commended special agents of IRS Criminal Investigation, who conducted the investigation, and Tax Division Trial Attorneys Abigail Burger Chingos and Kenneth C. Vert and Assistant U.S. Attorney Adriana Dydell, who prosecuted the case. 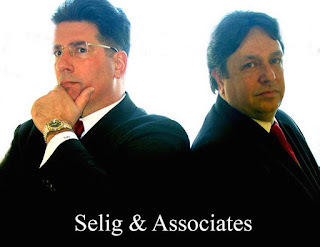 Aggressive New York City Tax Advocates We Solve IRS and New York State Tax Problems, Guaranteed. Specializing in Income, Payroll and Sales Tax Issues. IRS Audits, Sales Tax Audits, Unpaid Payroll Taxes, Trust Fund Penalties, Criminal Tax Investigations and Tax Crimes, Installment Agreements and Payment Plans, Offers in Compromise and most other Tax Matters. For a Legally Privileged Consultation with a Federal Tax Practitioner and Licensed Attorney Call (212) 974-3435 or Contact Us Online. Income, Payroll and Sales Taxes. Suspended Passport and Drivers License. Missing Tax Returns Prepared and Filed within 48 Hours. IRS Liens, Levies and Wage Garnishments. Income and Sales Tax Audits. Payroll and Trust Fund Recovery Penalties. Criminal Investigations and Tax Crimes including Tax Evasion. Offers in Compromise and all other Tax Matters. We Negotiate Excellent Installment Agreements and Monthly Payment Plans. What the Hell is Tax Fraud? "Tax experts say there is nothing to be intimidated about"
Awesome Inc. theme. Theme images by bluestocking. Powered by Blogger.